The next generation eLearning tool for hospitality. Innform is an elearning tool designed for the hospitality industry. Our mission is simple: to create a learning product employees will love with the features managers need. 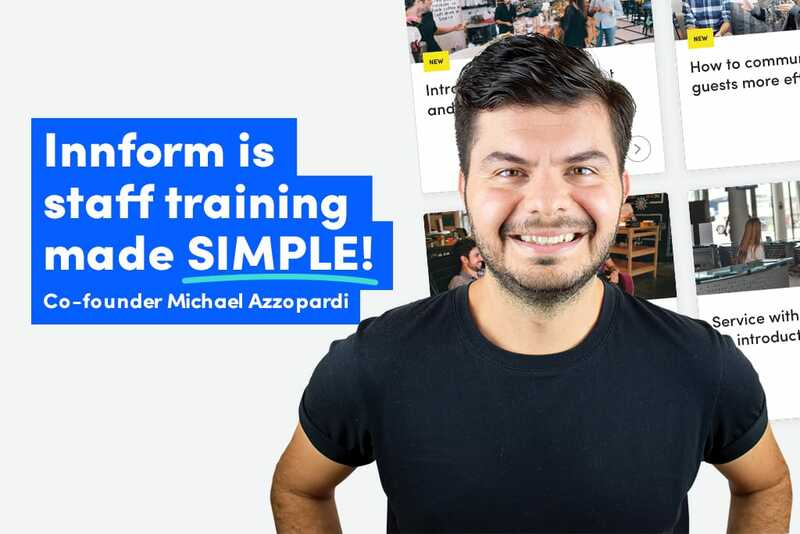 Innform is designed by London based software company Seb Azzo, which has been operating in the elearning space, specifically the hospitality industry for more than five years. We’re joined at the hip with hotels like Ibis, Accor Group, Novotel and Uniworld creating and maintaining their learning and development products across all platforms and departments. This makes the team very knowledgeable in the sector, elearning and the learning and development needs hospitality companies face on a daily basis. Most importantly it makes us understand both employees and HR managers very well, we literally spend the day with them. So in late 2017, we started working on Innform – our experiences had lead us to understanding what the hospitality sector truly needs in an elearning product. The tools that are available on the market can be clunky and overpriced. We want to change that. Our goal is to offer a feature-full, intuitive product with simple pricing. Innform comes after many years of trial and error. Today, we know what works and what doesn’t. This product brings everything together in one simple package. 1. Innform offers ready-made hospitality courses. This means that you can start training your team in literally seconds, right out of the gate. 2. It’s easy to transition into Innform. We made it very easy for managers to upload content and implement Innform across all their teams, worldwide. Our support team can offer one-on-one guidance around implementation and getting you started with your first course. 3. Innform automates HR processes, like new employee induction. We know how time-consuming inductions can be, especially when faced with high staff turnover. We’ve automated the entire procedure to allow HR personnel and employees to focus on what truly matters: getting started and becoming productive. Innform comes with performance and engagement metrics, a beautifully simple course builder with multimedia support, gamification features, custom-regional training and plenty of integrations with your established platforms, like Yammer. This, and many more will be available on every platform and operating system. There is a long and wonderful road ahead of us and we can’t wait to keep you posted. If you’d like to try Innform for free with your organisation, an early access beta version will be available as of July 2018. To join the queue, please sign up here.